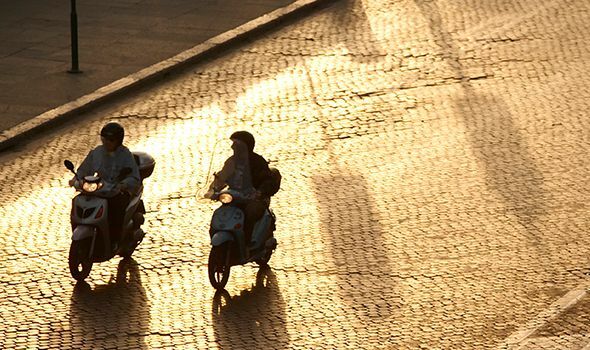 Now more than ever, mopeds and scooters are a popular form of transportation. Florida makes this even more prevalent due to rising gas prices and a climate enjoyable for using them year-round as a mode of transportation. Scooters see the same issues that motorcycle accidents do because they are often missed from a driver’s view. Just as many motorists fail to see a motorcyclist when merging, switching lanes or pulling out from a driveway or intersection, they also tend to miss individuals driving scooters or mopeds. Since scooters are so much smaller than other motor vehicles, people who drive scooters often experience significant injuries as a result of an accident. If you or someone you know has been the victim of a scooter or moped accident, we encourage you to seek legal representation. The injury attorneys at the law firm of Heintz & Becker are board-certified civil trial lawyers, skilled at handling these cases and helping you get the results you deserve. Many different types of motor vehicles share our roadways with us these days. Any type of motor vehicle accident can leave you with neck or back injuries, broken bones, spinal cord injury, head trauma or a concussion. In some events these incidents can leave many with catastrophic injuries leading to lifelong pain and suffering for the injured themselves and their families. Once the basic attention is given to the injured, assuming you walk away with non-life-threatening conditions, you will undoubtedly have medical bills mounting up, and in most cases lose time from work, making paying them even harder. Additionally, depending on the end result from the accident, the injuries sustained could prevent you from returning to a gainful employment situation or even prevent future employment and earnings due to permanent impairment. Our experienced auto accident lawyers will work with you to collect all of the facts and negotiate on your behalf with all necessary parties to achieve the full compensation to which you are entitled. This includes monies related to medical bills past and future, lost wages, any pain and suffering and any other damages such as loss of earning capacity. Oftentimes, the insurance companies do not offer fair settlements; the board-certified civil trial attorneys at Heintz & Becker are fully prepared to fight for your rights in court. To discuss your scooter or moped accident with a motor vehicle accident attorney, call us at 941-748-2916 or send us an e-mail. Our focus is on helping you. You will pay no fees or costs unless we get results for you. If you are unable to come to us, we can come to you.